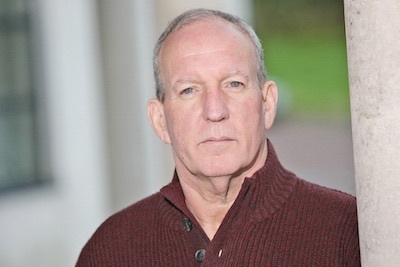 The PSNI police this morning arrested three very senior Provisional republican figures in connection with the murder last month of Belfast man Kevin McGuigan -- one of whom, Bobby Storey (pictured), is the chairperson of Sinn Fein in the Six Counties. The arrest of the three men comes amid fraught talks in Belfast aimed at sustaining the North’s crisis-plagued powersharing institutions. Since Mr McGuigan’s murder in the republican Short Strand area of east Belfast last month sixteen people, including several other very high profile republicans, have been arrested in connection with the killing. No one has been charged in relation to the murder and no evidence yet presented against those arrested. However, the PSNI has insisted the Provisional IRA had some involvement in the death of McGuigan, the main suspect in the murder of PIRA figure Jock Davison last May. The three arrested today are the most senior Provisional figures yet to be detained. Bobby Storey was interned during the 1970s and also served a lengthy term in prison for his part in the armed struggle. He was also involved in the Long Kesh prison breakout in 1983 in which 38 IRA prisoners escaped. Mr Storey is routinely named as a leading IRA figure in the mainstream media, and that may have been the driving motivation behind his arrest as well as those of the other two men. Yesterday, Ulster Unionist Party refused to continue to take part in the latest Stormont House talks unless the alleged continued existence of the Provisional IRA became the “first item” the talks agenda. Mr McGuinness said he had been “surprised” by the arrest of Mr Storey. “Bobby Storey is a valued member of Sinn Fein’s core leadership,” he said. “He has played a leading role in the development of Sinn Fein’s peace strategy and is a long standing and loyal supporter, defender and advocate of the peace and political processes. Tuesday’s talks lasted about two hours. Ulster Unionist leader Mike Nesbitt refused to continue, and said whether or not the IRA still exists “is the issue and the only issue that we will speak on”. DUP MP Arlene Foster called Mr Nesbitt “the master of hokey cokey politics”. “One day Mike Nesbitt is in the executive and the next day he’s out. One day he’s in the talks and the next day he’s out,” she said. Extreme unionist figure and leader of ‘Traditional Unionist Voice’, Jim Allister has today demanded the DUP also walk out of the talks, which are due to resume later. He said that Mr Storey’s arrest brought the McGuigan “murder investigation to the very heart of the DUP’s partner in government, Sinn Fein. Yesterday’s opening session of the talks also took place amid a new threat to the institutions from the British government’s Direct Ruler in Ireland. Speaking before the talks began, Theresa Villiers said she would scrap both the Executive and the Assembly unless progress is made in the talks. Sinn Fein leader Gerry Adams said any decision about suspending Stormont would be “beyond Ms Villiers’ pay grade”. The current talks, which are seeking to revive the collapsed Stormont House Agreement from last December, are expected to last four to six weeks.